Thankfully, another dog has been saved from the rubble of last month's devastating mudslide near Oso, Washington. A golden retriever named Boomer was found wandering through the debris on Wednesday, after disappearing for 12 days. Rescuers initially thought Boomer was a mudslide survivor in search of his family, but later discovered that the dog actually lives nearly three miles away. 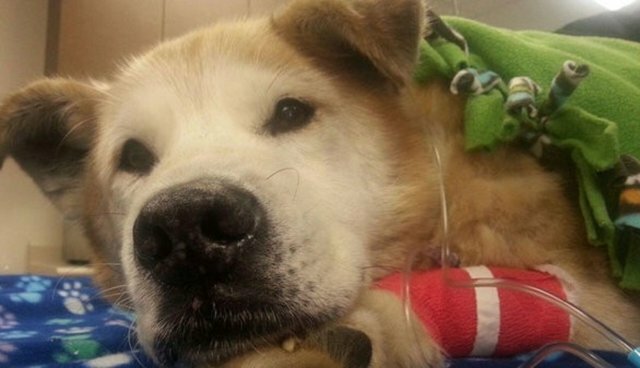 A vet was able to get in touch with Boomer's owner, and now he's on his way home. According to the veterinarian who treated Boomer's injuries, which amounted to a few scrapes and cuts in addition to the dog's pre-existing hip problems, Boomer wasn't entirely out of place in the field of landslide debris. The dog was only recently adopted by his current owner, who took custody of the dog from her brother. The brother was one of the dozens of victims who perished in the landslide. Sadly, it's not out of the question that Boomer went off in search of his old home.